Global Watch is a 60 minute-long news magazine program. The show stresses Chinese elements, emphasizing China’s perspective on global events. The program, relying on CGTN’s global reporting resources, presents in-depth analysis and coverage of major global issues. The program also presents to-the-point interpretation of Chinese policies and stories that are of interest to foreign audiences, in a style they are familiar with. 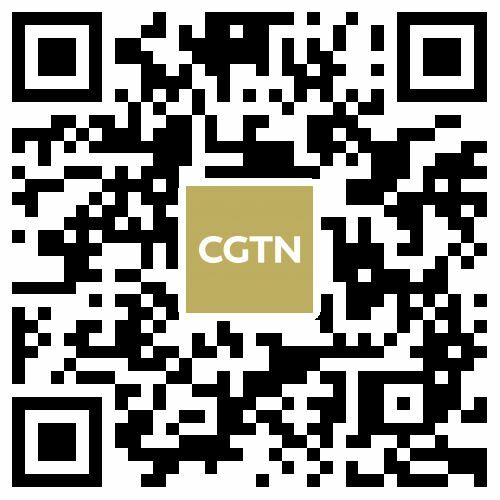 The Link is CGTN’s only news show fronted by its Beijing headquarters and its North America and Africa production centers. The half-hour bulletin focuses on the latest news events or topics with global ramifications, especially those closely involving Asia, the Americas and Africa. With in-studio experts in Beijing, Washington, and Nairobi; and our reporters across the world, the three anchors on The Link explore new dimensions and offer fresh takes through in-depth discussions and three-way interactions. China 24 is a news program featuring in-depth reports and analysis of the stories in the headlines in China. Produced by CGTN’s studios in Beijing and Washington D.C., the show takes a compelling and comprehensive look at China. It explores the country’s business, politics, technology, culture, entertainment and more. China 24 tackles head-on the issues that matter most to the nation and its people, with topical reports highlighting challenges facing this fast-changing country. Asia Today highlights the latest news and social developments across Asia. Correspondents in over a dozen countries report on the region’s top stories as they happen. Analysts bring Asian perspective to topical and developing issues. Asia Today also emphasizes the diverse cultures and lifestyles of the world’s most populous continent. Africa Live is a news program that focuses on African issues and issues related to this diverse continent. CGTN’s Nairobi-based broadcast center produces Africa Live. Local correspondents and local production teams provide authoritative and in-depth stories from across the region. Africa Live is an objective and comprehensive look at every facet of African life. Global Business is the prime business show of CGTN English Channel, bringing you the latest economic data, business trends and policies. With separate editions out of Asia, Africa and the Americas，Global Business features analysts and newsmakers and a global network of correspondents. Global Business shows you what's moving markets in both developed and emerging economies. We offer a truly global perspective, loaded with local insights. Culture Express features the most exciting news from the worlds of art, music, dance, opera, film, fashion, food and lifestyle. The 30-minute daily show brings you the latest trends in culture and intimate conversations with painters, designers, singers, actors, and artists from all walks of life. It’s a melting pot of the traditional and the modern, and a bridge between East and West. Sports Scene brings you closer to all the action from all corners of the world, with highlights from across Europe, North America and China's top sports leagues. We examine the changes and growth in China's domestic leagues, as the country undergoes an incredible economic transformation. Our exclusive features, "Tackling China", "CBA Stories", and "Beyond the Baseline", take you behind the scenes and closer to the top athletes in China, by providing a unique perspective on the top sports stories. Match Point is a weekly program featuring the best of African sport. Produced by CGTN’s Nairobi production center, Match Point makes sport personal. Combining television and new media, Match Point puts viewers across the continent in direct contact with their sporting heroes. Dialogue With Yang Rui is a prime time daily English talk show on CGTN. The 30-minute talk show covers a wide range of domestic and international topics, providing a balanced and critical perspective on current affairs and analysis within the framework of cross-cultural and multi-disciplinary comparisons. Inviting decision makers in government, business and academia onto the show, the host Yang Rui encourages guests to speak their minds frankly. Hundreds of heads of state, diplomats, business leaders and culture icons have appeared on the show. World Insight with Tian Wei is an international platform for debate and intelligent discussion. It is the meeting point of both the highly influential and rising voices, facilitated by host, Tian Wei. Every Monday to Friday, it provides nutrition to form your own thoughts and ideas through live debate and interviews. Live debates linking movers and shakers take place in the signature segment “Global Debate”. It features a diversity of perspectives and insights on the most important global news and stories of our time. Its face-to-face "Exclusive Interview" segment welcomes both existing big names and future players from all walks of life. The Point with Liu Xin is one of the main current affairs programs on CGTN. The program comments on global news through Liu Xin’s very own unique perspective. With two decades of experience as a news anchor and overseas correspondent, Liu Xin has an engaging and personal style. The Point with Liu Xin connects world audience through social media, enhancing their participation as well as offering a comprehensive perspective on world events. Closer to China with R. L. Kuhn is a weekly news magazine that features Robert Lawrence Kuhn’s exclusive discussions with China’s decision makers and opinion leaders. Whether an ongoing story or breaking news, Closer to China with R. L. Kuhn provides in-depth analysis, unparalleled access to the story, and expert commentary on issues that matter. The Heat is a daily talk show anchored from Washington, D.C. It focuses on top stories making news globally. The Heat presents tough issues from a comprehensive, balanced and international and Chinese perspective. Guests from on the spot and around the world ensure lively debate and a range of voices. Talk Africa is a weekly discussion show that brings the most influential voices in Africa to the world. Broadcast from CGTN’s production center in the Kenyan capital, Nairobi, Talk Africa looks at Africa and the world from an African perspective. Big Story is a documentary film program on CGTN. It explores global events with in a variety of filmic styles and featuring original, in-depth, thought-provoking storytelling. The program provides a unique platform for the best current affairs documentaries from around the globe. Big Story aims to present the contemporary world and China’s global perspectives to an international audience. Rediscovering China is a feature program broadcast every weekend on CGTN. Each 30-minute edition offers a unique insight, through the eyes of our team of international journalists, into an aspect of life in China today. With its unrivalled access to the country's people and places, Rediscovering China brings you in-depth reports on the major issues facing China at a time of rapid change. Assignment Asia is a current affairs program that takes an in-depth look at stories from all over Asia. The show focuses on people. It puts the spotlight on issues affecting the region through interviews with and first-person accounts of ordinary people with extraordinary stories. Americas Now profiles the development, diversity and challenges facing the Americas, particularly Latin America. The strength of the program is its storytelling. Correspondents across the region present insightful, well-researched and engaging narratives. Americas Now is a compelling, authoritative and balanced voice from the region, giving CGTN a competitive edge in the North American media market. Faces of Africa is a topical magazine that showcases the diversity of the continent. Faces of Africa is about people. From intimate portraits of ordinary citizens to discussions with political, economic and civic leaders, Faces of Africa features compelling stories from an up close perspective. As China’s only internationally-broadcast English-language travel show, Travelogue is one of the main feature programs on CGTN. With Travelogue you’ll encounter all the elements of a fascinating journey: adventure and discovery, tales from history, diverse cultures, breathtaking landscapes, and tantalizing food. And with a commitment to embracing social media more fully, the show’s team is expanding platforms with the aim of offering you an all-encompassing, more user-friendly travel experience! New Money highlights the aspirations of the next generation of entrepreneurs in China. The show takes viewers behind the scenes into China’s most cutting edge start-ups and their business strategies. The stories narrate the innovative minds behind up-and-coming companies that have the potential to reshape China’s business landscape. From corporate strategy to industry outlook to global entrepreneurial trends, New Money explores all things "new" in China’s economy. Crossover is a cross-cultural lifestyle talk show that celebrates and explores life in China, offering viewers lively and newsworthy information told in an in-depth format. In the 45-minute show, hosts and guests discuss the most exciting issues of the day. Crossover aims to uncover the stories that are trending in China. Icon is a weekly talk show that offers up-close encounter with today’s leading cultural icons. Through intimate conversations with celebrities from the worlds of art and entertainment, host Ji Xiaojun digs deep to discover the person underneath the image. Full Frame is a one hour program from CGTN America. Full Frame enriches the lives of viewers through animated discussion of film, arts and culture, humanitarian work, science, technology, innovation and social trends impacting a diverse global audience. Produced in Los Angeles, Full Frame combines high-end production with editorial values that brand the show’s demand to be different. The result is a program that appeals to a global audience on CGTN, yet satisfies the need for niche programming on many channels in North America, ensuring maximum exposure, added value and impact.